When will be Canada: The Story of Us next episode air date? Is Canada: The Story of Us renewed or cancelled? Where to countdown Canada: The Story of Us air dates? Is Canada: The Story of Us worth watching? Canada: The Story of Us is stories of the diverse people, places and events that transformed a vast land into Canada. It's the dawn of the 20th century and Canada's population is exploding. For many Canadians living in urban centres, this growth comes at cost. Deadly diseases plague cities. Labour strikes lead to violent conflict. Through boom times and bust, Canadians struggle to improve their lives and learn to care for others. WWII, a war even more terrible than the last, demands courage, commitment and ingenuity. Canada meets this challenge head on, giving everything we have at home and abroad. Canadians come together, working and fighting for a common cause. United – at war. Canada experiences a boom time after the war, but not all are happy with the status quo. They seek to reshape the country and challenge dark legacies of injustice. The circle of Confederation grows and Canada emerges as a complex and cosmopolitan nation on the world stage. Canada seeks to navigate the complexities of its diverse population, keeping its borders open to those who have nowhere else to turn while trying to negotiate a new relationship with Indigenous peoples. This unique example of nationhood serves as an example for the world as Canada moves into the 21st century. 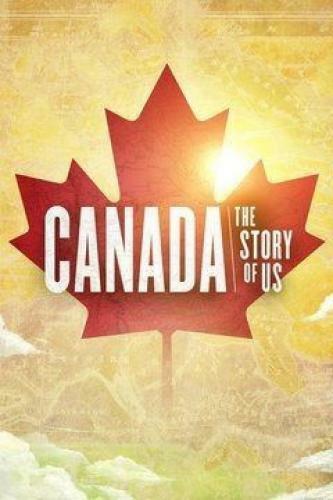 Canada: The Story of Us next episode air date provides TVMaze for you. EpisoDate.com is your TV show guide to Countdown Canada: The Story of Us Episode Air Dates and to stay in touch with Canada: The Story of Us next episode Air Date and your others favorite TV Shows. Add the shows you like to a "Watchlist" and let the site take it from there.